Do you like Aztec's Totems? Share it with your friends. 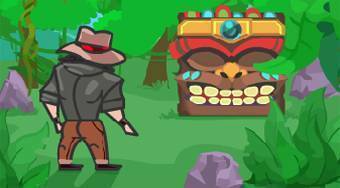 Aztec's Totems - pass through the game area with the hero wearing a hat, pick up three golden coins and get to the totem with portal.